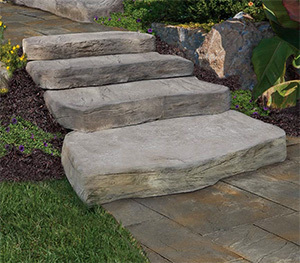 Create the look of a natural stone pathway in gardens and other outdoor settings using 6 different, irregularly shaped stepping-stones. Position the stones randomly in a path design of your liking and separate them with grass, pebble stones or mulch. formations and protrusions, the 4 pieces – each having distinctive characteristics of their own – can be stepped back, rotated and positioned in dozens of ways. 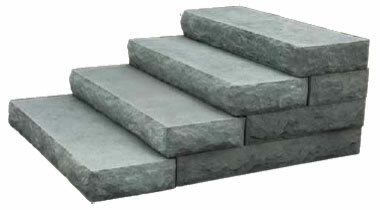 Up to 8 different face and edge textures can be utilized to build a staircase of inimitable appearance. 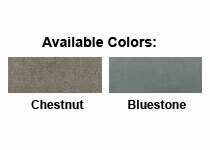 Caps are available in two dimensions (24″ x 24″ and 26″ x 26″) in Bluestone or Chestnut. 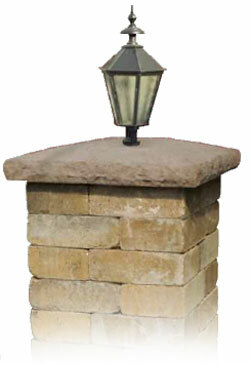 On an Olde English Wall Column, a 24″ x 24″ cap will provide a 2″ reveal while a 3″ reveal will be achieved with a 26″ x 26″ cap. On a Cambridge Pre-Packaged Column Kit, a 24″ x 24″ cap will provide a 1″ reveal and a 26″ x 26″ cap will give a 2″ reveal. 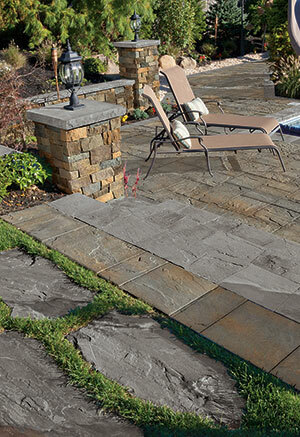 with all Cambridge Wall and Pavingstone colors as well as natural stone and other landscape materials.